The Jurors’ Choice Award winner for Schaefer Portrait Challenge 2018 was announced at the exhibit opening reception on Sunday, January 14, 2018. The People's Choice Award winner for Schaefer Portrait Challenge 2018 was announced at a reception on Friday, March 9, 2018. Natasha Young, with "Contemporary Artist"
The jurors for the Challenge were Charles Cohan of O‘ahu, Carol Bennett of Kaua‘i, and Jennifer Owen of Maui. The jurors selected the following 57 artists in the final round of jurying for the Schaefer Portrait Challenge 2018. Momoe Nakajima, "What is all this stuff?!" 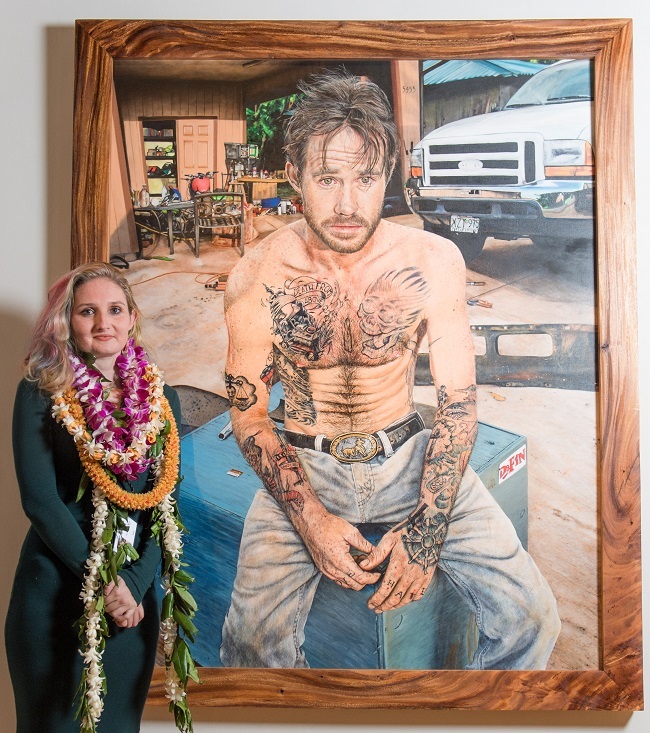 This statewide juried exhibition has been held as a triennial since 2003, and continues to present the diversity of Hawai‘i’s people through artist’s explorations in portraiture.